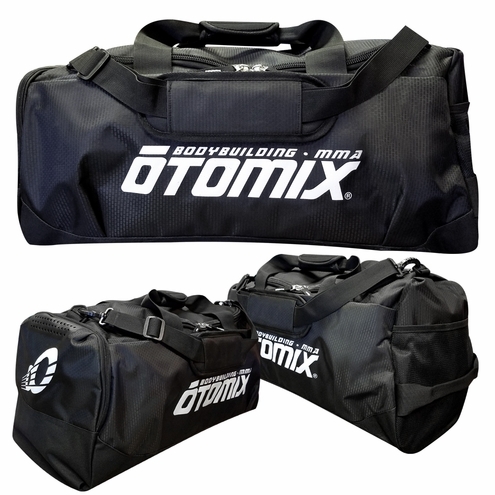 Otomix duffel gym bag gives you the perfect combination of function and style. Every bag is equipped with multiple compartments to separate and securely store all of your needs. The end compartment is to lock in your favorite Otomix shoes and a small velcro pocket inside to keep your cards and cash... this bag has it all. 24 in long x 12 in wide x 9 in deep - approx. Brand new design! Constructed of heavyweight, durable nylon with protective feet.